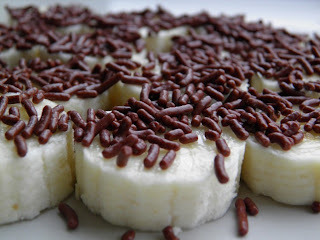 I wanted something sweet after my toasts this morning, so I made myself a simple treat - sliced bananas with chocolate sprinkles! 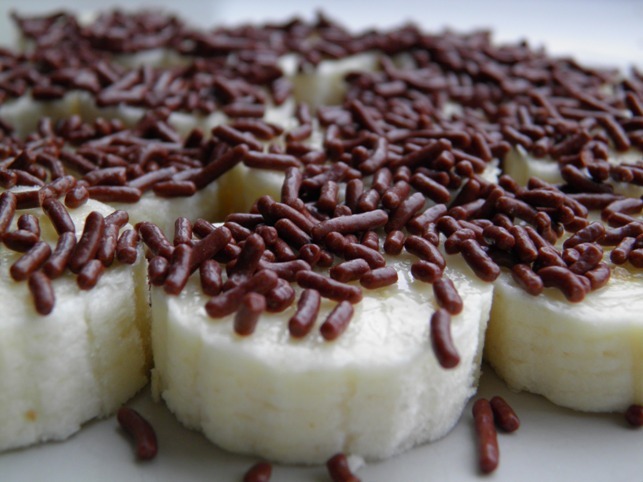 This is one of the most common snacks for kids, but my Dutch husband finds it an odd snack. Cultural difference?